We drive more revenue for our clients with SEO. Logic Inbound is a Seattle Based Search Engine Optimization & Digital Marketing Agency that cares about your business as much as you. Logic Inbound has a proven track record of success across e-commerce, startups and service based businesses. Our team has been working on search marketing since Google launched AdWords in 2000, and since then has ranked hundreds of thousands of keywords of first page keywords for venture backed startups to dozens of Fortune 100 companies. Our approach to search marketing is methodical, based in best practice, and drives ROI. We work backwards and prioritize content that allows us to capture the most search traffic from qualified prospects. Creating content that ranks in Google turns your content investment into a revenue generating asset that will continue to produce traffic, leads and sales for your business for years into the future. Ask us how our blog generated 78,000 unique search visitors last month. Your investment into search marketing has paid off and you have more traffic than you know what to do with. Conversion rate optimization maximizes your marketing spend by converting more of your traffic into revenue. We’re Logic Inbound, a digital marketing agency based in Seattle. We specialize in SEO, CRO, content marketing, email campaigns, keyword research, web development, and more. Our team of experts strives for excellence. We equip websites with optimum authority and relevance while searching for advancement and growth opportunities. We want nothing more than for your company to succeed. Increase Traffic. Increase Profits. We help companies identify and execute on growth opportunities. Our clients range from venture-backed startups to multinational e-commerce organizations. Our core strengths include search engine optimization, conversion rate optimization, paid social acquisition and other non-traditional growth strategies. We’re an agency with deep roots in digital marketing and e-commerce. We create wonderful Shopify sites that excel beyond the average online store. We convert visitors into loyal customers and increase business overall, but there’s more to it than just increasing revenue. By combining our expertise in search engine optimization, conversion rate optimization, and email marketing with our Shopify design skills, we create sites built for success. Our development and design services can elevate your online presence beyond your wildest imagination. With our assistance, your business doesn’t have to start at the very beginning and slowly trudge along the path to e-commerce success. We’ll jumpstart your business and get you way ahead of the game. Let Logic Inbound be your digital marketing agency in Seattle. We won’t let you down. That’s a fact. Logic Inbound has a proven track record of success across e-commerce, startups, and service-based businesses. From pre-revenue product inventors, to drop-shippers, to multi-national manufacturing organizations, we’ve done it all. You can trust us with your e-commerce store, website, and business ideas. Increase your revenue. E-commerce businesses are not a one-and-done type of deal. There is so much more to hosting an online store than setting up shop and posting your items. You want to hit the ground running. We get that, and your dream is absolutely possible, as long as your website has been well-suited with SEO and marketing strategies. We can relate to the mindset of wanting to see tangible success sooner than later. Early success and profit creates the baseline for the future of your business. Marketing your business drives traffic towards your website, and as any business owner knows, customers are key in any transactional affair. In order to sell your items and earn more than you spend, you need recognition and an admirable reputation. Most importantly, you need customers. We’ve worked with an extensive variety of internet-based commercial businesses. 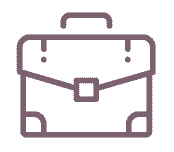 Our knowledge base spans from local independently-owned companies to multinational businesses, and even an internal e-commerce project, we’ve worked with a variety. From pre-revenue product inventors, to drop-shippers, to multi-national manufacturing organizations, we’ve done it all. 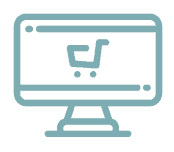 You can trust us with your e-commerce store. Our results speak for themselves. Let Logic Inbound handle the SEO side of business. We’ll promote your e-commerce store and enhance the appeal of your online presence. All you need to focus on are your goals. We’ll take care of the rest. Build your brand. Startups are business ventures in the earliest stages of operation. Finding your footing among the crowds can be difficult, especially in the very beginning. Attempting to tackle every element right out of the gate not only sounds daunting. It is daunting. Trying to do too much all at once is a recipe for downfall. Instead of attempting to wrap your head around all aspects of marketing, allow the team at Logic Inbound to lend their helping hands. We’ll cover all things digital marketing so you can focus on the more We can help you with the most important aspect of any newly-established business: building your brand. Products and services are incredibly valuable, but your brand makes all the difference. Between a well-known business, and an unknown company, people will always choose the first. We want you to be number one, too. Let’s get you there. Creating a brand unique to your vision is imperative. Designing your brand with your goals and focus at the forefront will relay those qualities to your customers. Consider how you want to be viewed by the public and craft an image around those characteristics. Developing an audience helps to transform your brand from dream into reality. Gaining a following from the very beginning is essential for startups because the ones that go unrecognized end up crashing hard and burning fast. We want you to excel, not crumble and fall. Leave the growth marketing up to Logic Inbound. We’ll help you form a foundation that will enable you to thrive. We know you’re both timeline and budget conscious. With both in mind, we’ll design an SEO campaign that stays within your financial confines and produces results in a reasonable timeframe. In order to get to a place of profitability, you have to earn more than you spend while simultaneously building a steady stream of customers. We’ve got that part covered. When it comes to growth marketing, we target search engine optimization, content marketing, conversion rate optimization, email automation, and influencer marketing services. Rather than seeking out short-term results, we strive to produce long-lasting outcomes that continuously improve. Stagnation isn’t our thing. We doubt it’s yours either. Let’s get your business to a place where growth never stops and opportunities are always taken. Capture more leads. Business owners and investors tend to understand the importance of high ranking positions and the leverage SEO provides over websites that have not been optimized. However, it is quite the stumbling block for most business owners. The process of enhancing your own SEO is a tremendous endeavor, albeit a pivotal factor in growing your business. That’s where Logic Inbound steps in and offers services. We know how to implement search marketing for service businesses in a way that drives organic search traffic, both locally and globally. When your websites are top-notch and loaded with keywords that users are searching for, your website is more visible. More views correlate to more customers and more sales. That’s what we want for you: more. Your business already has the ability to provide excellent services. All that’s missing is the influx of customers. Since 93% of cases show that people will not look beyond the first page of search results, we want to get your website ranking on the first page of Google. That way, you can offer your services to a wider stretch of people, near and far. We’ll increase your volume of organic search traffic so you can focus on the other areas of business. Logic Inbound specializes in long-term projects. We invest our time into the customization of unique campaigns for each individual client. While immediate profit is exciting, we prefer to ensure continuous success. Short-lived outcomes, no matter how impressive, dwindle over time and lose their edge. We take our time brainstorming strategies that we have total faith in, rather than settling for something mediocre. Your business is not ordinary. Your growth marketing campaign shouldn’t be, either. Search Engine Optimization, or SEO for short, is the science of motivating Google and other search engines to increase the visibility of your site for the keywords that are valuable to your business. This allows potential clients who are in the purchase process to naturally and easily find your website, learn about your brand, employ your services, or purchase your products. Our SEO process starts with discovery. We acquaint ourselves with your business model. Your goals become our driving forces. We let the industry you work in consume us and we learn everything there is to know about your specialty field. After discovery comes growth analysis. At this point in the process, we identify opportunities for growth. Whether it be financial, professional, or personal, a growth opportunity is an impeccable opportunity to advance in the world. We’ll take you there. Keyword research is a tremendously beneficial aid in optimizing your content and elevating it to a level of visibility on search engines. We analyze search trends and identify the most common keywords relating to your subject matter. We incorporate keywords into the content on your website. When your content contains keywords, Google recognizes your website as a viable candidate for its results page. The greater your relevance and authority, the higher your website ranks on Google. Relevance reflects how closely the substance of your website relates to the search query in question. Authority stems from relevance, too. Authority is a score that determines how credible and honest your content is, which in turn increases your ranking on SERPs. Last but not least is the reporting aspect of SEO. We create weekly and monthly reports for you so that you know what’s going on during all steps in the process. We want you to be involved in your SEO campaign. We get jazzed about the places SEO takes our clients. Come see for yourself. Get started on your SEO campaign today. Effective, data driven content marketing can generate massive amounts of qualified traffic, position your brand as an authority, and move customers and clients through the purchasing life-cycle. Executing on an effective content marketing campaign can be a huge undertaking, especially if you’re lacking a track record and framework of success. Learn how our content strategists can help you execute on content marketing campaigns. Conversion Rate Optimization (CRO) is the art and science of using data and testing to maximize how many visitors to your website become leads or customers. We design and execute all-inclusive A/B tests and explore all relevant variables for you. We take great pride in our web design and development specialties. We’ll put together a website that will leave you wondering how your business survived without it. You have a say in every step of the process, too. After all, the website is yours. We’re just here to help it flourish. We build websites that promote your business and gain traction for your customer base. Our digital marketing strategy relies heavily on optimizing for search engines before putting pixel to screen. Your site shouldn’t just be beautiful. It should be an asset that builds your business. We combine the two and produce a website that will make your jaw drop. Over the years we have discovered that WordPress and Shopify are ultimately the best platforms for hosting modern websites. They speed up the process at lower rates than other hosting services. Attaching your domain to a WordPress or Shopify platform improves your overall experience, from start to finish. We’ve found that their customizable interfaces allow us to create a website unique to your vision and model. As SEO experts, we don’t just look at user interface (UI) and user experience (UX) best practices. We go further than the basics. We’ll optimize your site to the greatest extent. Nothing will stand in the way of your website and potential users. We’ll do everything in our SEO power to make your site more visible and user-friendly. Websites are versatile. They are viewable from desktop computers, laptops, and even mobile devices, like phones and tablets. Websites don’t act the same on mobile devices as they do on immobile computers. However, so much traffic stems from mobile searches and portable devices. Accordingly, we sure your site is mobile responsive. It’s important that your website represent your vision and your brand. Our websites are not templates and can be customized to your exact specifications. No business is the same. Websites shouldn’t emulate each other either. Tell us what you’re looking for and we’ll make it happen. Discovery – we acquaint ourselves with your business model. Research – we build an SEO strategy unique to your business using keyword research and CRO. Design – we combine our skills to produce a website layout you and your customer love. Wordpress or Shopify Implementation – we design your website on the hosting platform in accordance with your goals. Testing – we make sure usability and functionality are intact before your website goes live. Launch – once your website is void of errors and everything has been checked thoroughly, we unveil your website to the public eye. Logic Inbound understands how to create powerful Shopify sites that look great and drive sales. We work with you to understand your business, your products and your customers, then get to work with a meticulous attention to detail so your store is the best it can be. Email Campaign strategy – Whether you’re looking for assistance filling the gaps in your existing email program or you don’t have the slightest clue where to begin, Logic Inbound can work with you to develop an email strategy that speaks to your customers and then put it into action. Implementation – Logic Inbound can take care of the entire email campaign process from beginning to end, from strategy and template development to putting the campaign into action. We can step in exactly where you need us. Email Templates and assets – We work to understand your brand and your customer so that the email marketing templates we create have maximum impact. Consultation and audits – Need outside help to figure out where to improve your existing email marketing efforts? We can take a look behind the scenes and figure out what’s working for your campaign and what’s not. The precision targeting power of Facebook advertising is unique among platforms. We use our skills to uncover the demographics of potential customers. We look at demographics as they relate to users and compare those to the characteristics of users who appreciate your brand and benefit from ads that promote your services. We decipher your audience and set them apart from the general public. From there, we place advertisements in places that optimize viewers. With Logic Inbound’s careful strategy and execution, we can put ads in front of people who actually care about your brand without throwing away money by serving ads to people who simply aren’t interested. Facebook advertising allows us to harness the combined demographic data of every user and reach your likely customers. Facebook is a platform that allows businesses to reach a widespread array of consumers. Facebook ads in particular are accessible to people all over the world, enabling you to reach your targeted audience on a global scale. Interested in advertising on Facebook? We’ve got you. With our ad budget management, custom audience, lookalike audiences, retargeting, and reporting, your Facebook advertising campaign is sure to dazzle. The power of associating your business or brand with an influential figure should not be underestimated. We’ll pair your brand with an influencer who really believes in your style and business morals. By working with these influencers, you can transfer that trust and authority to your own business. People tend to emulate the trends influencers follow. Logic Inbound’s team of marketing specialists can work with you to identify the best opportunities to strengthen your brand through influencer marketing. We’ll define your campaign objectives and execute a strategy focused on achieving those goals. We are a growing team of SEO experts, sales analysts, operations coordinators, content strategists, and writers. We value our clients and our work reflects that. R&D First We haven’t completely left the startup grind. We keep our skills sharp with half a dozen company passion projects. We use them as platforms for testing, iterating, and fine-tuning our current strategies. We stay up-to-date with the latest growth strategies and assess their effects on websites of our own. We improve our growth marketing tactics by staying on top of research and development. We apply our SEO strategies to internal projects because it puts us on the receiving end of our services. By playing the role of client, we experience your side of the process and improve our methods in accordance with our findings. Before offering a new service to clients, we thoroughly examine the implications. We will not utilize a growth strategy that we don’t have total faith and trust in, so you can be certain that we only offer the very best of the best. We only hype strategies that we believe in 100%. Data Driven We push intuition, pattern matching, and experience to their limits. We leverage data to get us the rest of the way. We thoroughly analyze the data we collect and pinpoint opportunities to capitalize on growth. Our ideas stem from concrete data and clearly-defined results, not chance. We don’t mess around. We won’t take risks with SEO unless the strategies are guaranteed and fact-based. Transparent All of the campaigns we pilot are metrics-driven, with complete visibility into key performance indicators (KPIs). Our work is transparent at all steps in the process. We’re open and honest about your statistics, metrics, and success rates. We won’t hide anything from you. You’ll stay in-the-know with our weekly updates and monthly reporting. Honest We can’t help but be helpful. It’s in our nature. We want to be the growth marketing agency you’ve been looking for but we will admit that we’re not the most suitable team for every business. Let us look at your business model and talk about where you’d like us to take you. If we don’t think we’re the best fit for your growth needs, we’ll introduce you to one of our friends who can take your business to greater heights. We’ll never respond with a dead-end answer or pretend to have the capabilities to reach your goals if they’re out of our reach. Maybe we can’t fulfill your dreams, but there’s someone out there who can, and we’ll be sure to connect you. Community Oriented Our marketing experts regularly give back to the community by sharing insights and tactics. We take part in events directed at entrepreneurs, startups, and small businesses. We even host some of our own. We are involved in meetups for entrepreneurs and startups, like YPOS and Cofounders Connect. Join us at one of our upcoming events to see what we’re all about. Credible and Reliable We find that testing our refined strategies on projects of our own yields an immense amount of credibility. We assure you that our SEO campaigns and inbound marketing methods are tried and true because we’ve tested them ourselves. One of our internal projects currently ranks on Google’s second page of results for multiple keywords. A Place For Mom approached Logic Inbound to migrate core site functionality from legacy open source CMS Umbraco to the latest version of WordPress while maintaining the rankings of their 60,000 1st page keywords. What is Cohort Analysis and How Can it Give Deeper Insights Into Your Influencer Marketing Strategy? Wix vs Shopify: Which is Better for Making an Online Store? Having trouble managing several Shopify stores at once? Read this guide to find out actionable tips that make managing multiple Shopify stores easier. Shopify vs Etsy? Etsy vs Shopify? Find out which platform is right for your e-commerce store.